Cheetahs in the Serengeti National Park adopt different strategies while eating to deal with threats from top predators such as lions or hyenas. 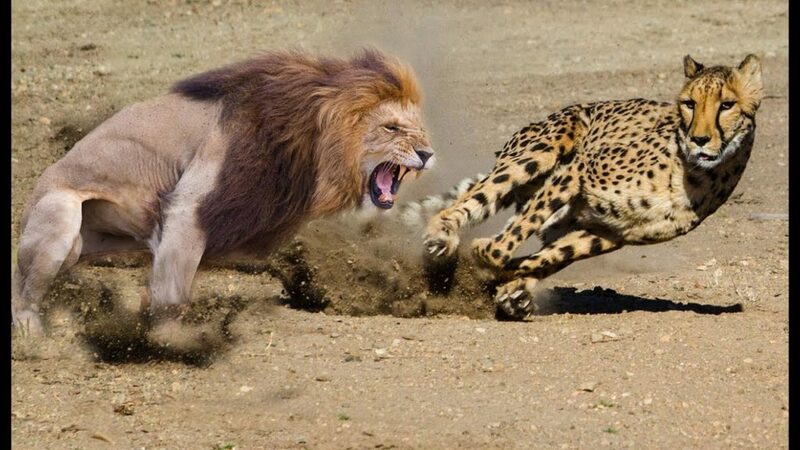 Male cheetahs and single females eat their prey as quickly as possible. Mothers with cubs, on the other hand, watch out for possible threats while their young are eating in order to give them enough time to eat their fill. The research was led by Anne Hilborn of Virginia Tech’s College of Natural Resources and Environment in the US. The new study in Springer’s journal Behavioral Ecology and Sociobiology has shown the interesting findings. Cheetahs are medium-sized carnivores that live alongside large carnivores such as lions and spotted hyenas. These large carnivores are known to not only attack cheetah cubs, but also steal prey in an act called kleptoparasitism. Cheetahs do not have the strength to haul their kills up trees to keep them safe from scavengers as a leopard does, nor can they physically defend themselves against a lion. They therefore tend to hunt when larger predators are away or less active. The researchers established that the tactics cheetahs use depend on which type of threat they face from large carnivores. The primary threat to male cheetahs and single females without cubs is having their kill stolen. They therefore spend little time watching out for attacks, and instead eat their prey as quickly as possible before it can be snatched away from them. Mothers with cubs must first ensure the safety of their offspring and that they get enough to eat. Cubs can eat quite slowly because of the size of the cubs’ mouths and their tendency to take regular breaks to rest or play. The research team believes that the behavior of a cheetah after a hunt depends on the territory it finds itself in. Cheetah mothers might, for instance, be less vigilant in the Kgalagadi Transfrontier Park in the Kalahari region of South Africa and Botswana, where lion densities are three times lower and spotted hyena numbers are 100 times lower than in the Serengeti.